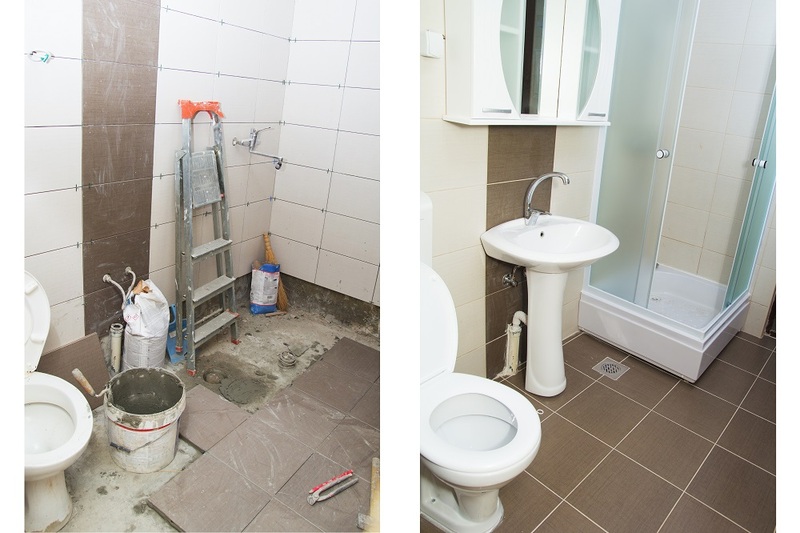 Bathroom renovation helps you match your personal preference and achieve an aesthetic feel. However, major decisions have to be made when it comes to choosing the right plumbing valves, suitable toilet styles, filing for inspection code permits, upgrading plumbing fixtures and hiring a professional plumber for the job. Investing in renovation will save you a ton of time and money in the long term. If your bathroom's pipeline is correctly set up, you won't ever have much damage done on your plumbing. You won't have to spend hours on a Saturday working with drain cleaners to remove nasty clogs, which can be hazardous for your home, as well as for the environment. ball valve: The most important component of this type of valve is the rotating sphere with a hole in it. When the valve is open, the hole is in line with the water pipe, and if closed the position of the hole is perpendicular to the pipe. The lever handle is used for operating the valve. Also, the lever hand indicates whether the valve is open or closed; when its position is parallel to the water pipe the valve is open and vice versa. Although these valves don’t allow for precise flow control, they provide a perfect seal in closed position. Gate valve: The valve controls the flow of water by raising and lowering the piece of metal that acts as a gate. The wheel at the top of the gate controls the height of the gate, and thus controlling the flow of water. Unfortunately, the wheel or knob doesn’t indicate whether the valve is open and closed, or even to what extent. These valves are suitable for just opening and closing and not for controlling the flow of water. Moreover, these valves are susceptible to corrosion; that can cause the valve to get stuck in either closed or open position with ease. Butterfly valve: The right valve should have a disc that has a size equal to the inside diameter of the water pipe for effective performance. The disc is attached to a lever handle, which in turn is used to control it and ultimately control the flow of water. There will always be a pressure drop of water when using this valve because the disc is always within the flow of water even when it is closed. They can become a maintenance issue in your bathroom because they rely on a gasket to provide a full seal. Diaphragm valve: The valve has an element similar to what is found in a gate valve for limiting the flow of water. However, the element that is moved by the wheel or knob, in this case, is a diaphragm that stops the flow of water when it settles down on a saddle. You can choose a weir-type diaphragm or a straight-type diaphragm valve for your bathroom renovation. Pressure balanced valve: If you want to maintain a constant temperature of water in your showers and bathtubs, you can consider using balanced pressure valves. The valve has a diaphragm that is used for controlling the mixing of hot and cold water. Many jurisdictions allow these valves in domestic bathrooms to prevent accidental scalding. The toilet type is defined by how the unit is installed and the number of pieces that make up the toilet. A majority of toilet types or styles across the country are two-piece and are installed on the floor. However, people who are interested in bidet functionality and other advanced features such as personalized cleansing need to install an electrical outlet close to the toilet. Two-piece toilets: The toilet style offers great value and is often recommended for residential applications. A separate tank and bowl are assembled to make the full two-piece toilet. One-piece toilet: This style is crafted from one piece of ceramic; the tank and bowl are integrated. It’s easier to keep this type of toilet clean because its design eliminates the seam between the tank and bowl, which is a bit hard to clean. Intelligent toilets: It’s an innovative, stunning style that doesn’t have a tank. They have heated seats, warm-water cleansing and a system that enables automated flushing. You can use an intuitive touch-screen remote to control temperature and cleansing settings. Wall-hung toilets: These are sleek and easy-to-clean toilet styles that are suitable for bathrooms with a limited footprint. They have a hidden in-wall tank, and thus it’s only the bowl, and the flush plate is exposed on the wall. They save up a lot of space compared to floor mount toilet styles. Remember, relocating plumbing fixtures such as toilets requires you to obtain the necessary permits from your local building inspector. 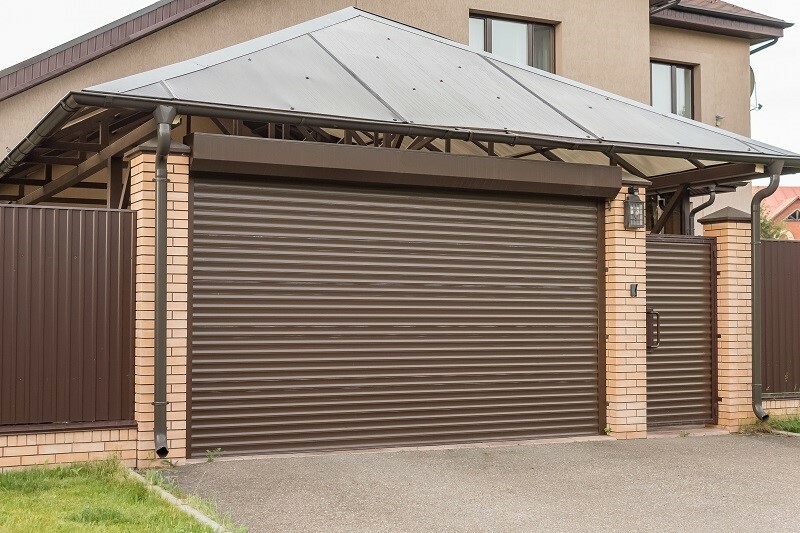 So, apart from the cost of the renovation project, if you know that your remodeling will go beyond painting and papering, deal with filing for the necessary permits first. Secondly, you need to determine whether the relocation is worth it because even relocating a large 3- or 4-inch drain lines just for a few feet can be very costly. Therefore, before relocating explore other possible scenarios like designing your new bathroom near your toilet’s present location. In fact, this is a good option because then you will have enough money to spend on your bathroom’s finish work or fixtures, where it counts. 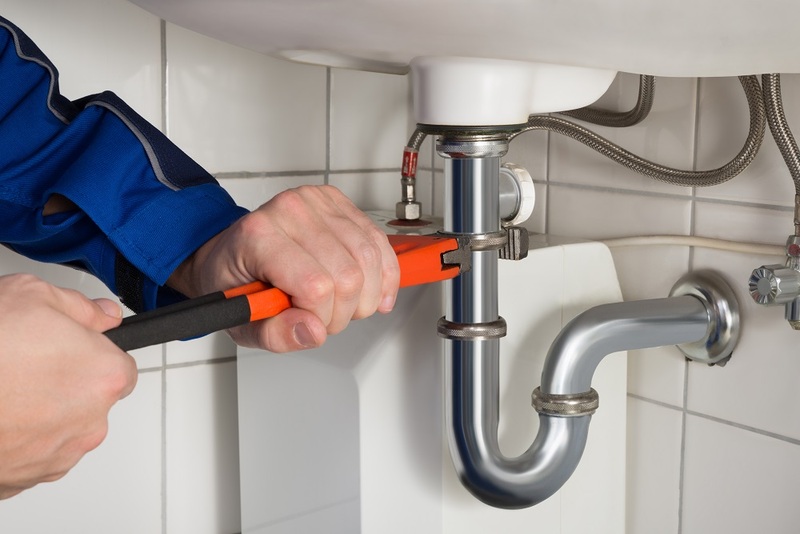 Moreover, when dealing with the main toilet line or/and vent stack, you will need a professional, licensed plumber who has years of experience in such complex plumbing projects. The proper drain pitch and drilling around wood supports and reassembling everything properly are serious processes that have to be done according to local codes. Furthermore, you have to evaluate the age of the house and the location of the toilet before you consider the toilet relocation. Also, although most of these codes for different geographic locations almost look the same, you need to read the details of your location’s codes carefully, especially in regards to your job scope. You can learn more details about the codes if you search for your county, city or state development guides online. 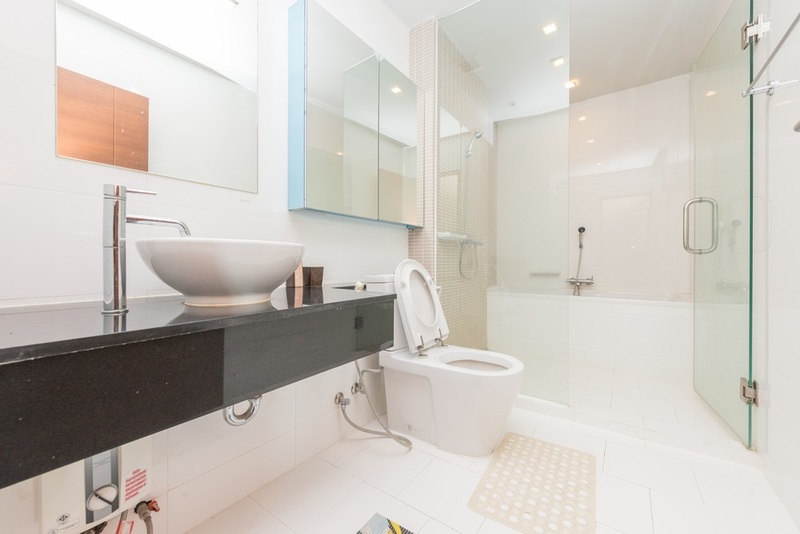 The fees are based on the scope of your bathroom remodeling project and its square footage. You can check out the fees listings online or call your local permit office for clear details. Be sure to read the details of your locale’s development guide carefully. Plumbing lines can be seen as decorative elements or eye sores depending on an individual’s taste. You can decide to either hide plumbing lines or camouflage them. Here are a few tricks that you should try. Paint it: You will be surprised at how water or drain pipes will disappear when you paint them and the walls with the same color. Pipes along walls and against ceilings can be painted with a bright white shade to camouflage their revolting appearances. You can also use an accent color to make them stand out aesthetically. Transform it: You can creatively transform the exposed pipes into décor features. You can use ordinary rope, fabric, and carpet in transforming these pipes. By wrapping and gluing the ropes or fabrics artistically on the pipes, you will transform your interior design immeasurably. Hide It: If you are dealing with a bigger plumbing fixture such as exposed utility sink, consider a three-panel screen to hide the fixture. Alternatively, you can use a large bookshelf or portable cabinet in concealing the plumbing fixture. You can turn your unused basement into a comfortable space where you and your family can relax occasionally by hiding these plumbing fixtures. Galvanized steel plumbing: Outdated galvanized steel piping can reduce the pressure of water due to years of rust and corrosion in the pipes. When these pipes corrode, they affect the smooth flow of water. Cast iron pipes: These pipes were used for water and gas transmission in the 20th century. Today they have become extinct, and any home that has them needs an upgrade. Moreover, of cast iron’s joints were connected using lead, which is poisonous and shouldn’t be found in any modern home. Clay sewer lines: Very old houses that are over 100 years old have these clay drain lines that were commonly used in the 20th century. Broken clay pipes can cause a lot of flooding in homes and need to be replaced with modern piping materials such as PVC or flexible PEX pipes. Electrical work is complicated and dangerous. If not handled carefully with the right equipment and gear it can lead to life-threatening situations. On the other hand, handling plumbing systems unprofessionally can lead to breaking hidden pipes and cause further damage such as water damage or mold damage, which will be costly to mitigate. Moreover, your home has load-bearing walls and other critical concerns that can only be evaluated by a licensed contractor. Trained professionals should only handle hazardous situations that may involve handling mold, lead, old wiring systems, asbestos and polybutylene piping. The professional contractor is licensed, insured and bonded to provide plumbing or electric services in your locale. You have to know the pros and cons of different types of plumbing valves before you choose the most suitable type for your application. Many of your house’s expensive appliances are connected to electricity and the plumbing systems. 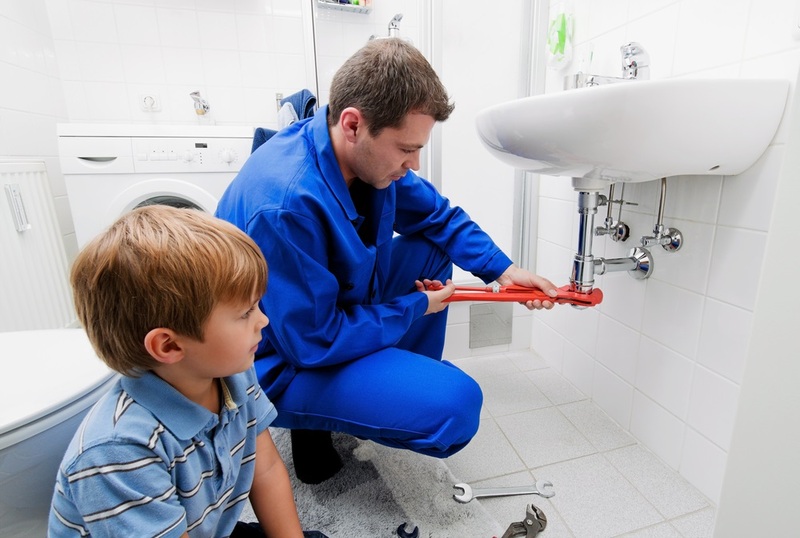 Whenever there is an electric or plumbing problem, it’s advisable to contact a qualified professional plumber or a professional electrician to avoid further damage by trying to solve the issue by yourself. About the author: Amanda Hill is the Marketing Manager at PVC Fittings Online, a leading supplier of pipes, valves, fittings, plumbing supply, and more. Amanda is often called the “Queen of PVC” as she has years of experience completing DIY PVC projects and has a ton of knowledge pertaining to PVC pipe, valves, and fittings. Amanda loves giving advice related to PVC topics and helping fellow DIYers. PVC Fittings Online offers products used for home improvement, DIY projects, general construction, etc. The products are high quality and can be purchased at reasonable prices. If you’re looking for stainless steel valves or any other home improvement products, you cannot go wrong with choosing PVC Fittings Online. Visit our website or give us a call at (866) 777-7990 for more information.